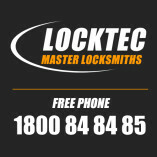 Simply put, at Locktec Locksmith Dublin we provide a complete range of professional locksmith services in all areas of Dublin. We operate 24 hours a day, 365 days a year. For 15 years, we have built and upheld our reputation for professional,... efficient and, above all, effective locksmith services in Dublin. We believe in offering excellent results at a fair price.